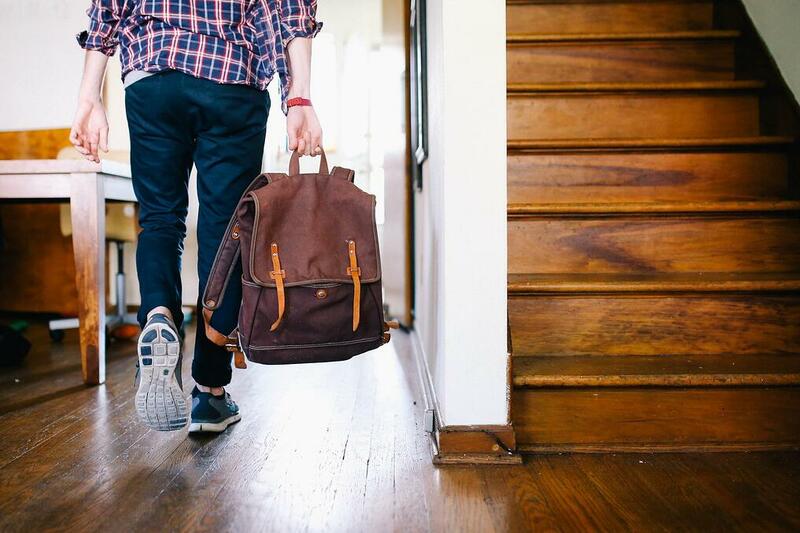 You want to reinvent the world, but you do not know where to start? No worries, leading consulting companies spend big bucks to find out the silver bullets for you. Here is the 11 innovation management best practice list which is based on the latest research from Boston Consulting Group, strategy& and PwC. According to strategy& strong focus on capturing customer insights directly from customers had strong impact on financial results. Companies which capture insights directly from customers had three times the growth in operating income and twice the return on assets of industry peers that captured customer insights indirectly, as well as 65 percent higher total shareholder returns (strategy&, 2014). Building strong links between business and innovation strategy has significant correlation with financial results: companies with more tightly aligned strategies had 40 percent higher operating income growth over a three-year period, and 100 percent higher total shareholder returns, than industry peers with lower strategy alignment (strategy&, 2014). Combining good cultural support and tight alignment of strategies appears to be the silver bullet of successful innovators. Companies which performed strong on both elements have 30 % higher enterprise value growth and 17 % higher profit growth than the rest of the companies (strategy&, 2011). 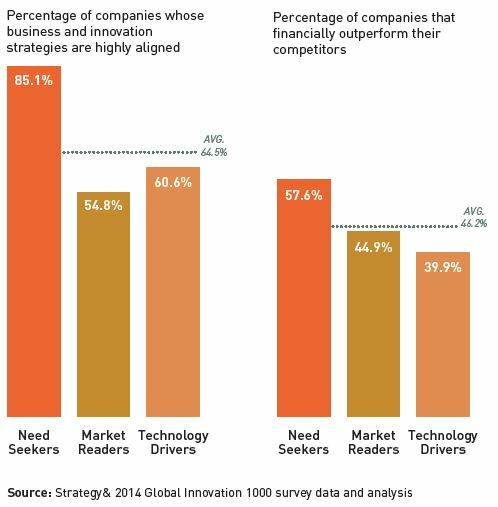 90 % of strong innovators reported that their top management is committed to innovation. The same figure for weak performers was less than 50 % (BCG, 2013). 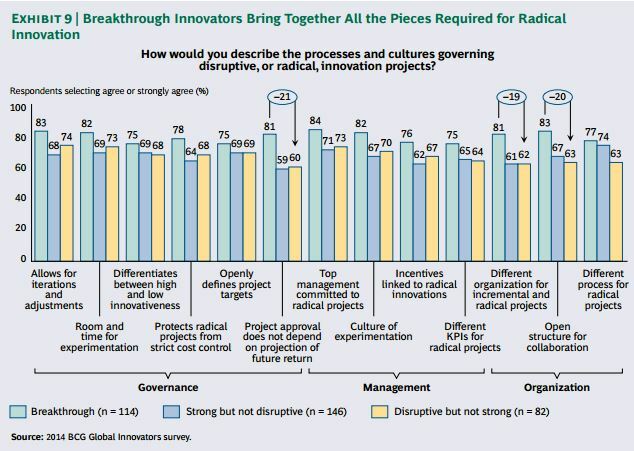 About 81 % of strong innovators set clear priorities for development projects, have mechanism to kill projects and manage actively their offering in the marketplace. Only 40 % of the weak do the same (BCG, 2013). 78 % of strong innovators have a well-defined innovation process in place, compared with 46 % of weak. Examples of elements of the process are regular project review of development portfolio and clear and transparent decision making (BCG, 2013). Companies which rated themselves highly effecting in idea generation had 30 % higher earnings as a percentage of revenue than their peers (strategy&, 2012). Make sure it is easy for your employees to participate in ideation. Successful companies have more flexible or different process for radical ideas. Examples of flexibility are that radical projects have more openly defined project targets and they can start without projection of future returns. They are as well often hosted in in separate organizational entities that allow for easy collaboration with internal and external partners (BCG, 2014). Many companies are challenged with not having enough radical projects. In order to tackle this 76 % of most successful companies have linked incentives to radical ideas (BCG, 2014). Successful companies collaborate with external parties in their product and service development process over three times more often (34 %) than the least innovative (10 %) (PWC, 2013). Traditionally companies have focused to product and service development. Leading companies (45 % vs. 26%) are transforming their business models and commercializing new value propositions that provide complete solutions instead of a single product or service (PWC, 2013). So those are the 11 best practices. Keep them in mind when working with your own organization. However the most important thing is to start systematic work as soon as possible, why not today? If you want to learn more about best practises of the most successful innovators, please download our "What Can You Learn from World Class Innovators?" -eBook.